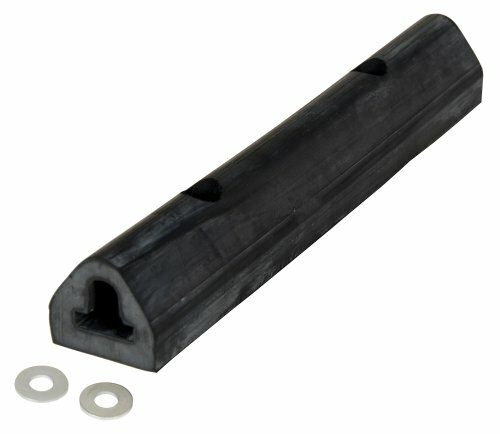 This Vestil M-2-12 extruded rubber bumper is 12" in length, 2" wide, and is used to prevent damage by a vehicle to a dock or building. The pad has a depth of 1-3/4" and is made of molded rubber for elasticity and resistance to impact and weather. Its half-oval shape provides a fendering action over a wide radius. This bumper has pre-drilled countersunk mounting holes for easy installation, with washers for each hole. View More In Loading Dock Bumpers. Loading Dock Bumper - BDB-6 Series; Style: Horizontal Style; H: 12"; W: 96"; Projection: 6"
Sentry Protection Products Concrete Wrap – 42"